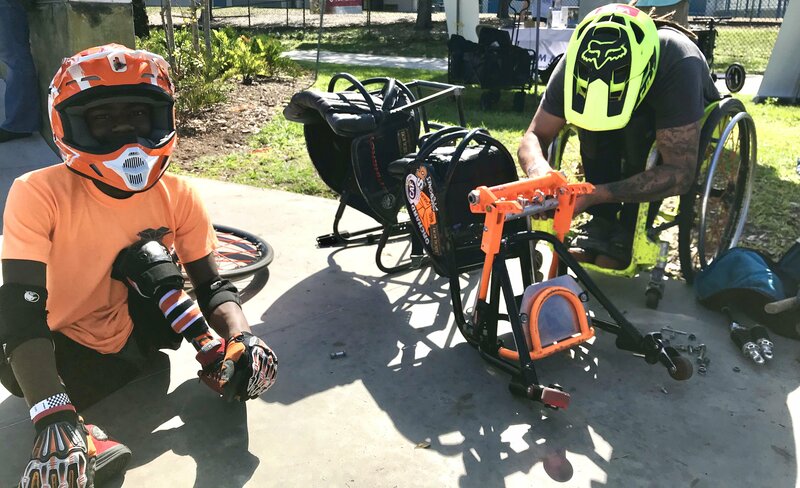 Adaptive Skate and Wheelchair Motocross: A New Frontier | Custom Mobility Inc.
ASF Adaptive Sports, based in St. Pete, recently hosted the First Annual Adaptive Sports Jam. In February, this event showcased WCMX (Wheelchair Motocross) and Adaptive Skate. Fittingly, the event was held at the newly constructed, St. Petersburg Skatepark. The skatepark was part of an initiative to revitalize the Campbell Park area. On a daily basis, many able-bodied skateboarders, BMXers, and scooter riders, use the park. 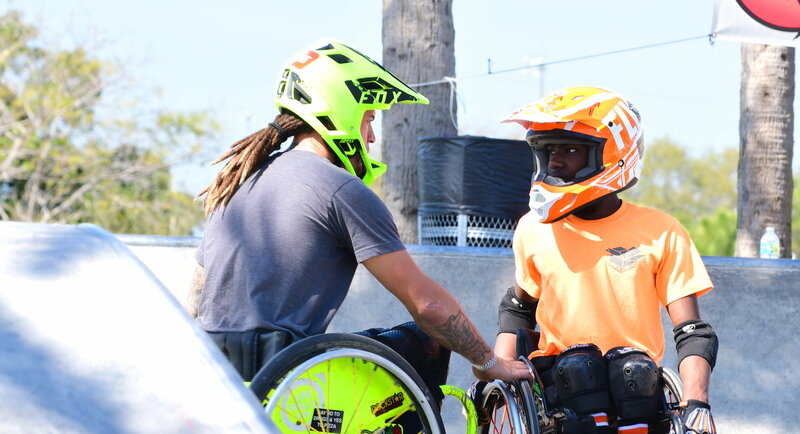 ASF Adaptive Sports Director, Tony Torres, worked closely with the St. Pete Skatepark Alliance to ensure the skatepark was accessible to wheelchair users. 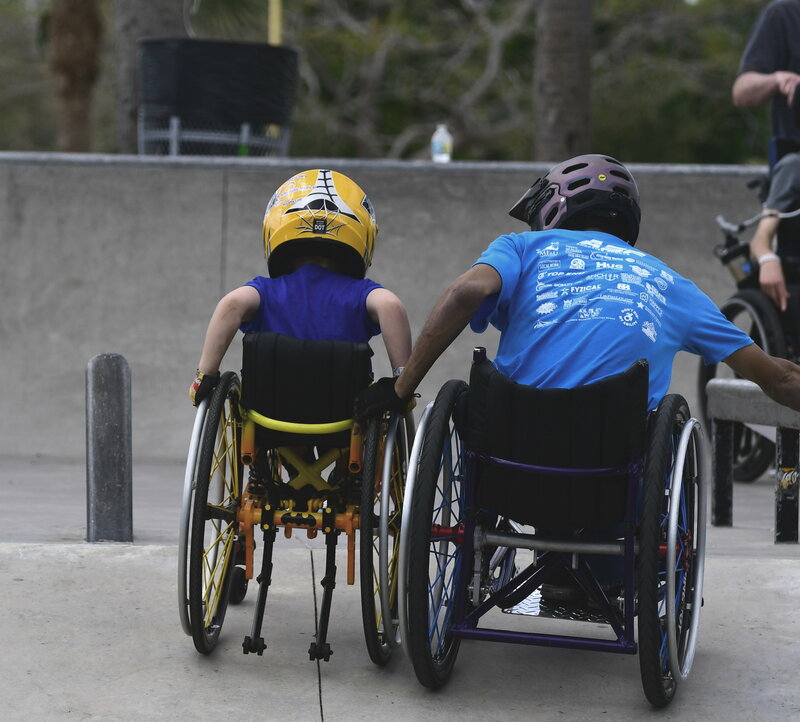 This effort, supported by wheelchair athletes and able-bodied action, sports enthusiasts, has sparked major interest in WCMX and Adaptive Skateboarding. As a result, they have become two of the fastest-growing, adaptive action sports. Their positive effects increase mobility, strength, and coordination. Additionally, they’ve created a positive community, where both people with disabilities and able-bodied people can grow, together. So, who’s behind this incredible sport, and what’s their mission? 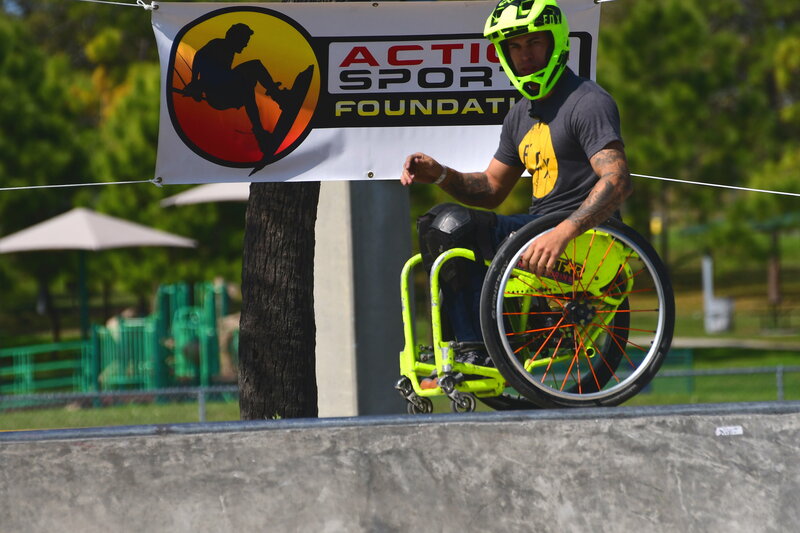 ASF Adaptive Sports is a division of the Action Sports Foundation, a Florida-based 501©3 charitable organization, whose Mission is to promote responsibility and goodwill throughout the community. They achieve this goal through actions sports. Their primary focus is to provide safety-based training, as well as youth and adaptive sports programs. Through this initiative, they seek to bring the able-bodied and adaptive communities together. 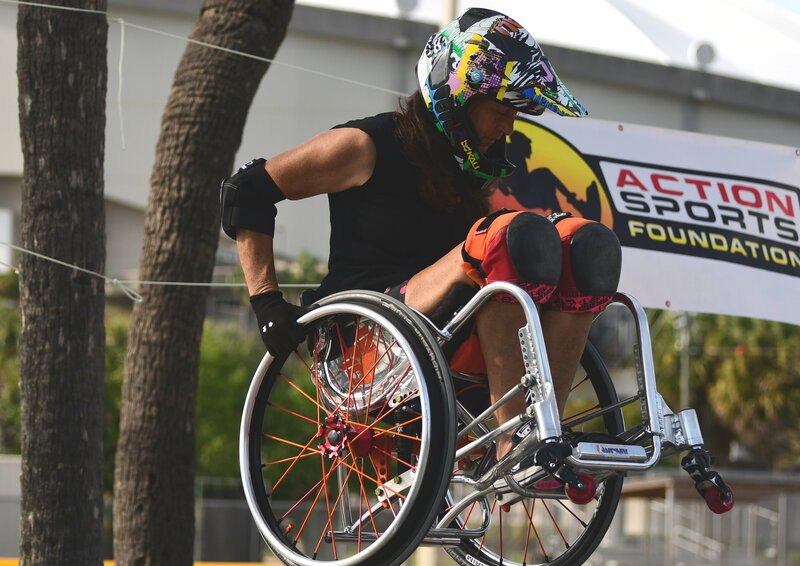 ASF Adaptive Sports also serves as a resource for action sports athletes, organizations, and the industry. Tony Torres is a local, WCMX pro athlete, and Executive Director of ASF Adaptive Sports. He has competed at the WCMX World Championships 3 times prior to this last competition in St. Pete where he placed 3rd. “It’s a dream come true seeing all the kids out there learning and having fun, trying a new sport that ultimately helps their confidence and self-esteem, on and off the skatepark,” said Tony Torres. 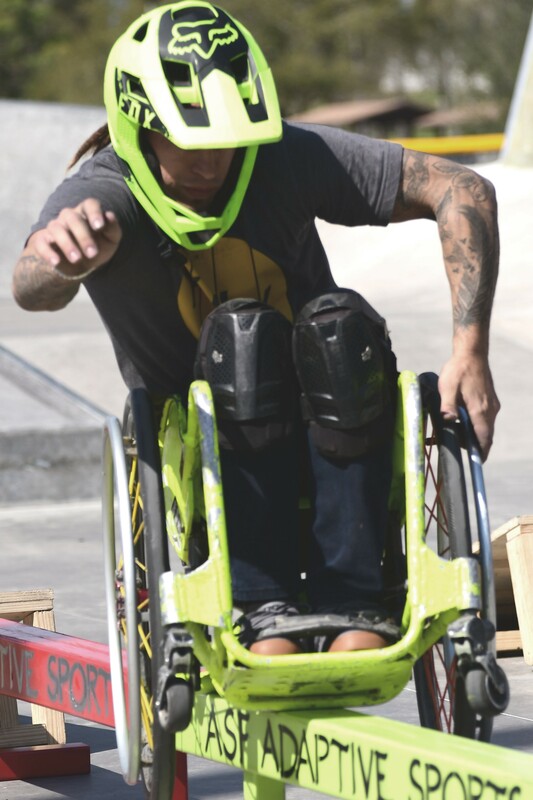 To help with the official judging, clinic programming, and competition announcements, ASF brought SOCAL WCMX, and Action Park Alliance Skatepark, from Fontana, California. These groups are comprised of leaders in the WCMX community, and train top WCMX athletes, on the west coast. They host clinics, programs, and play an important role in governing this exciting, new sport. “It’s truly important for ASF to build a bridge from the west coast to Florida, to make sure our local athletes are getting the latest information in these new, action sports,” said Tony. 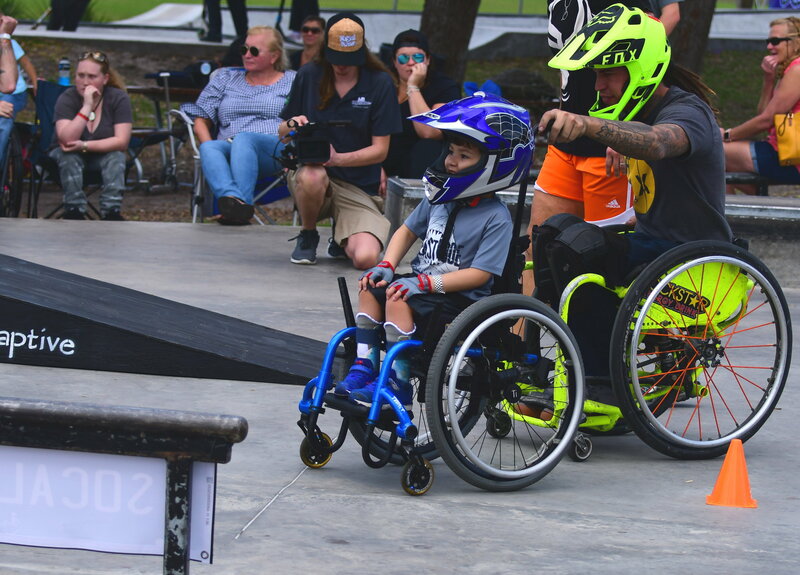 Among those who attended the 2019 ASF Adaptive Sports Jam, were a few of the top, WCMX and Adaptive Skate athletes in the world. They assisted in judging the heats, and included: WCMX World Champion Aaron Fotheringham from Nevada, 2nd place winner Blake Simpson, from California, and Jerry Diaz, from Orlando. The competition was both fierce and diverse, featuring talent that spanned across age, ability, and gender. Competitors included Tracie Garacochea, from California, and Tia Pearl, from Illinois. These ladies are two of the world’s top competitors in the sport. 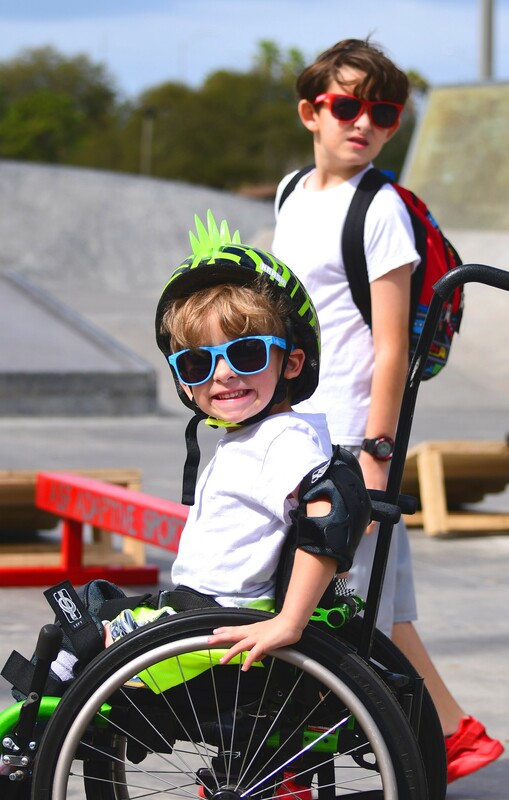 WCMX wasn’t the only presence in the skatepark. Adding to the event’s diversity was an Adaptive Skate competition for amputees. Witnessing competitions for different sports, and competitors of varying abilities, was a spectacle to behold! Adaptive Skaters like Ernie Ibarra, from Arizona, Oscar Loreto, from California, and Justin Beauchesne, from St Pete, showcased their talent and the potential of adaptive athletes. Often, it is assumed that impairments can prevent people with disabilities from competing and having fun. These athletes are great role models for children with disabilities, who may feel intimidated by their own impairments. They can roll, jump, and crash their way to success, just like their able-bodied counterparts. When it all comes down to it, we all experience highs and lows. If our experience at the skatepark has shown us anything, it’s that determination and perseverance can help to overcome seemingly impossible obstacles. Next year, this great event will be back, at the same venue, in mid-February. Stay tuned for details!